Tanzania Vice President Dr. Mohamed Gharib Bilal invited investors participating in the Lake Tanganyika Zone Investment Forum on November 1 to take advantage of the opportunities available in the regions of Katavi, Rukwa and Kigoma. According to Dr. Bilal, the three regions together make up what is known as the nation’s breadbasket and it offers immense opportunity for cross border trade with its shared borders with the Democratic Republic of Congo (DRC), Burundi and Zambia. “We urge investors to seize the opportunity to come and invest in the three regions because these regions are distinct in that they are famous for agricultural activities, especially in cultivation of maize and rice,” he said. 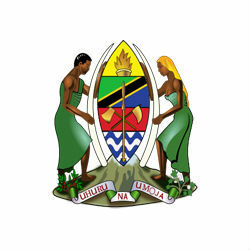 Dr. Mary Nagu, Minister of State in the Prime Minister’s Office of Investment and Empowerment, echoed the Vice President’s message and encouraged investors to register with the Tanzania Investment Center in order to take advantage of the opportunities that would be available to them through the center. The Lake Tanganyika Zone known as country’s breadbasket because of its high production crops including wheat, rice, beans and coffee and is also reportedly rich in minerals and small scale fishing that is ready to be exploited.